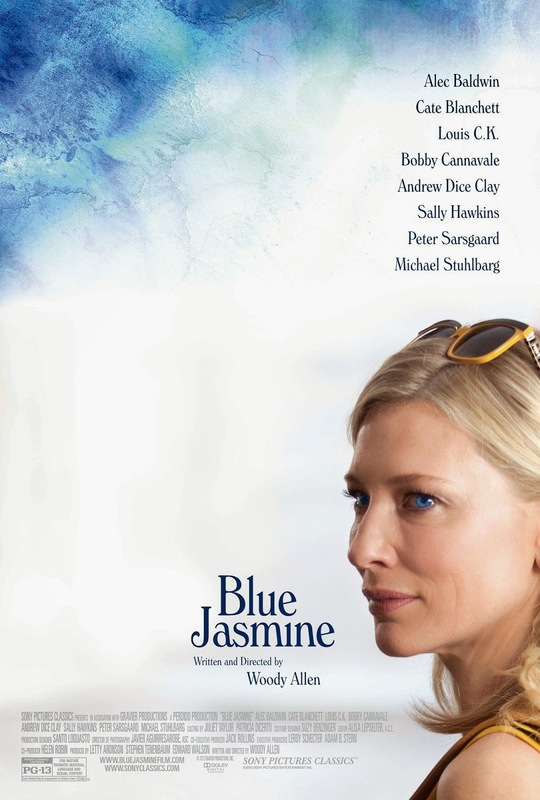 Immediately from its opening credits and jazz soundtrack, Blue Jasmine has a very old fashioned feel. In today’s age of blockbusters and CGI, Allen’s tragi-comedy feels more like a play on celluloid, in large part for its narrative parallels to Tennessee Williams’ A Streetcar Named Desire. Blue Jasmine features a similar sisterly dynamic and a central character whose fall from grace is the catalyst of mental instability. Just like Blanche, Jasmine (Cate Blanchett) is a fading middle-aged woman who suffers from alcoholism and delusions of grandeur. After years of marriage to Hal (Alec Baldwin), he is exposed as a fraudster and an infidel, causing Jasmine’s world to fall apart into one of poverty and homelessness. Forced from her high-society Hamptons lifestyle of designer clothes, socialising at parties and constantly reaching for a martini glass of vodka, she moves to California to live with her adoptive sister Ginger (Sally Hawkins), whose living standards and relationship history are far beneath Jasmine’s usual lifestyle. It’s this clash of cultures that forms the foundation for much comedy and wry humour in Allen’s witty script. Yet Blue Jasmine is ultimately a desperately tragic film. Scenes from Jasmine’s past are revealed to the audience through flashback, but it soon becomes apparent that Jasmine herself is living through the past. Blanchett’s performance is exceptional – no wonder she’s an early frontrunner for Oscar success. Her depiction of mental breakdown, through ticks and constantly babbling to herself and anyone around her, is darkly amusing yet frustrating to watch. For all its laughs, Allen’s film is a harrowing and uncomfortably voyeuristic experience. As the narrative unfolds, Jasmine meets a number of unlikely suitors, but her relationship with Dwight (Peter Sarsgaard) is built on lies, paralleling her past with Hal. The result is a film that takes an incredibly cynical view of modern relationships, the superficiality of upper-class living and the emptiness of defining oneself purely through a relationship. Jasmine often feels more like a caricature rather than a truthful human the audience can sympathise with, leaving us feeling empty and cold. Yet perhaps this is the point, the film as circular and meaningless as Jasmine’s life. As a result, it’s Ginger who we most sympathise with – life with Jasmine is as exhausting for the audience as it is for her. With such an abrasive character at its core, Blue Jasmine is a draining experience, but this is purely testament to Blanchett’s outstanding central performance.